Simon Chance, Anglican bishop and former missionary, has withdrawn in mid-life to research his enduring mentor Dante, creator of The Divine Comedy. He is recently widowed, after the prolonged descent into dementia of his devoted wife Marigold, violinist and composer. To recuperate from bereavement, he is invited by a life-long confidante, Clare, to her son’s villa in the hills behind St Tropez in southern France, to join a house party of several friends from their university days, now reaping the rewards of their various worldly careers. The reunion coincides with the collapse of global banking confidence, and with the playing-out of Clare’s own loss of love. Such is one of the weaves of this story. On a walk in the forest of the Massif des Maures surrounding the remote villa, in search of a church abandoned centuries ago, Chance loses his way – in a ‘dark wood’, as once experienced by Dante – while the night turns wild. Such is a second weave to this story. Marigold has not been the only love of Simon Chance. The passionate liaison of his earlier life, pre-ordination, was with a student botanist. This very Evie, with her Parliamentarian spouse, is about to join the house party of Clare, her greatest friend. A vital element in that intense, abandoned youthful liaison is yet to be reconciled with the scholar-cleric Chance had come to be. Now it rises to confront him. Here is the binding and defining weave of this intensely raveled dark and stormy night. The working-through of the nature of love, physical and spiritual, in love’s innocence and purity, will redeem him or destroy him. Or both. 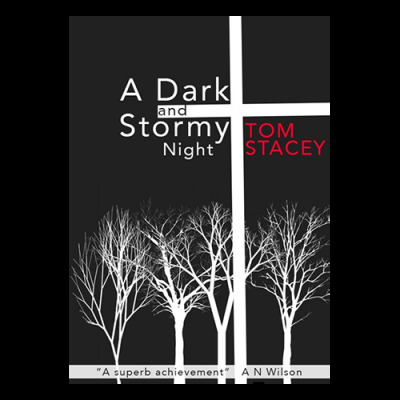 “A Dark and Stormy Night is a remarkable feat. “This is a beautiful book.